Papa John's India recently announced that it will acquire the Pizza Corner brand, owned by Global Franchise Architects. Leading Pizza brand, Papa John's India recently announced that it will acquire the Pizza Corner brand, owned by Global Franchise Architects,in a bid to to become the third-largest pizza chain in India, after Domino's and Pizza Hut, says aPTI report. Besides, the Indian pizza market is estimated at about Rs 2,300 crore. After the takeover, All 70 existing outlets of Pizza Corner will be rebranded to Papa John's by end of the fiscal year ending March 2015, the company said in a statement. Commenting on the development,John Schnatter, Founder and CEO of Papa John'said:"The merger provides us the opportunity to penetrate the market at a much more rapid pace, and increase our scale in a shorter period." Furthermore,in India Papa John's is owned and managed by Om Pizza & Eats, which is a company of Atulya Mittal, nephew of steel baron Lakshmi Mittal. On the other hand, Pizza Corner is run by Thai billionaire Fred Mouawad. Mittal's Avan Projects bought a controlling stake in Om Pizza from TVS Capital for Rs 25 crore in December 2013. During the acquisition, Om Pizza had been operating 20 Papa John's outlets with an annualised revenue of Rs 25 crore, with expected annual cash loss of about Rs 8-10 crore. TVS Shriram Growth Fund 1A (TSGF) had bought into Om Pizza in December 2012 by investing about Rs 50 crore. Later, TSGF invested an additional Rs 20 crore in the company. 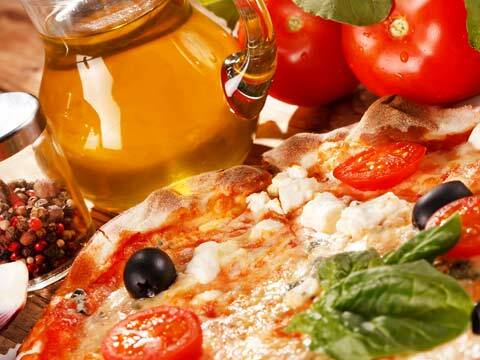 TVS Capital and the Jawad Group of Bahrain, continues to hold a stakes in Om Pizza. This deal allows Papa John's greater penetration in the three leading southern cities of Bengaluru, Hyderabad & Chennai. The cluster of stores across the three cities at strategically important locations which provides good economies of scale, lower logistics costs, a good brand recall and trained and experienced team, the company said in a statement. Global Franchise Architects, which operates in over 16 countries, also run brands like Cream & Fudge, Coffee World and The Donut Baker. These brands will remain in Bangalore and work independently of Papa John's, the company said in a statement.